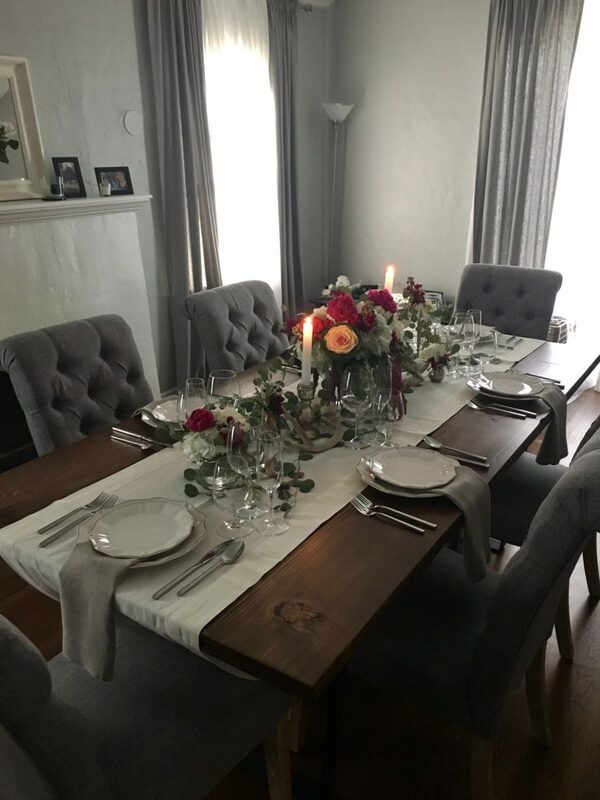 Yesterday we celebrated Thanksgiving surrounded by our friends & family – and we wanted to give you a little sneak peek into Sara’s home! 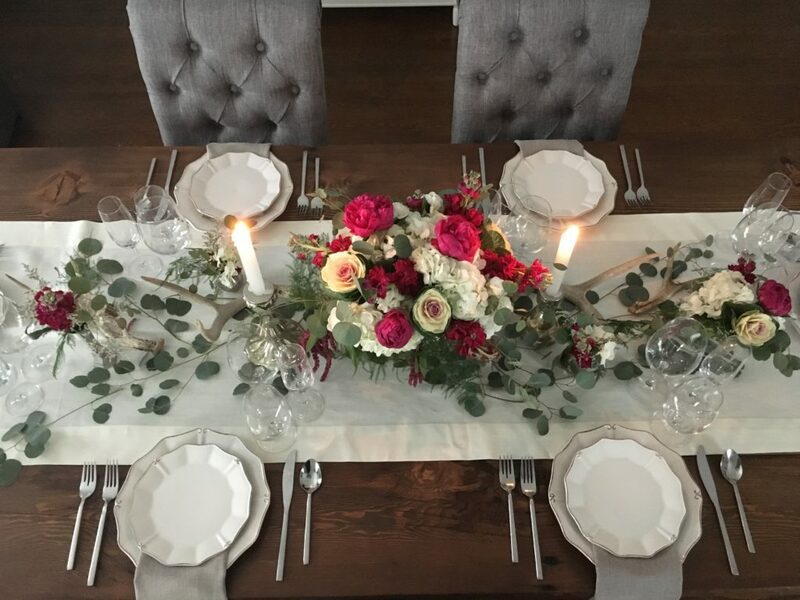 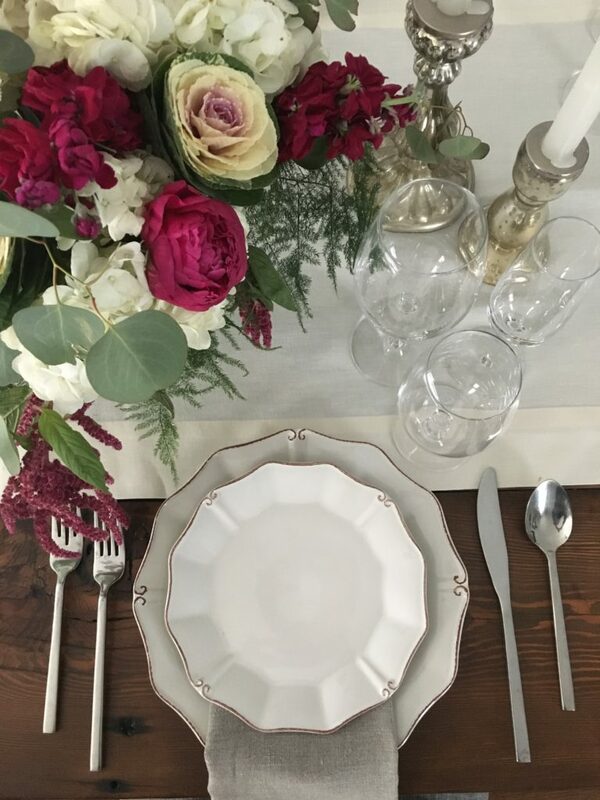 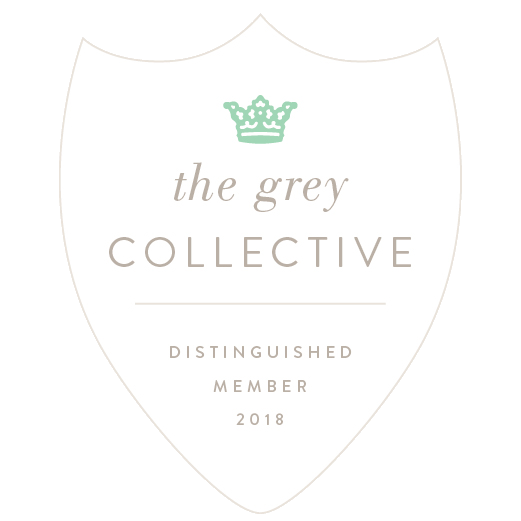 With Grace & Love Events works with brides on wedding design throughout the year so it’s fun to bring our design world into our own homes for the holidays. 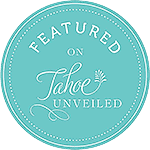 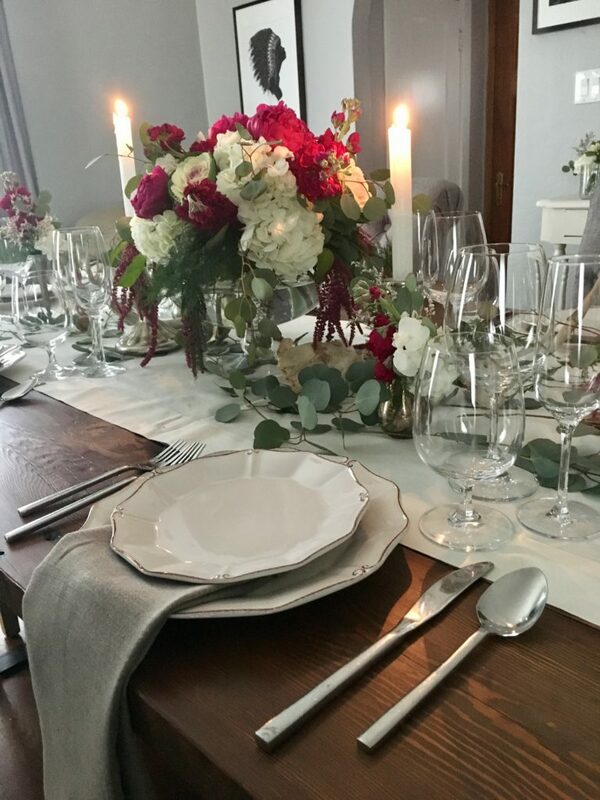 Grace & Love worked with a few of our favorite vendors renting tabletop items and took a DIY approach to the floral centerpieces to complete the look!